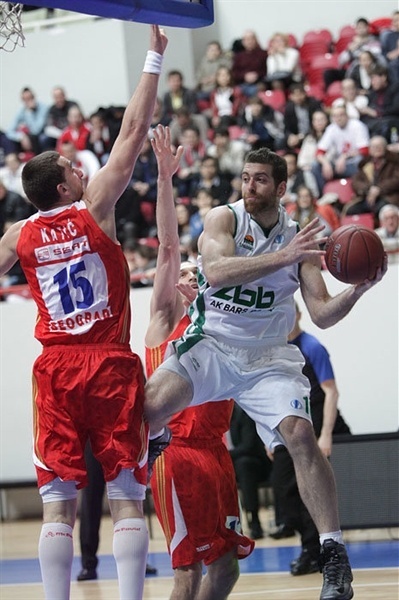 Unics Kazan took the Group L showdown against Crvena Zvezda Telekom on Wednesday by 78-59. After averaging 91 points per game up to this week, Zvezda was shut down by Unics' defense in the second half as the hosts cruised to the win thanks to a 18-7 last quarter partial score. 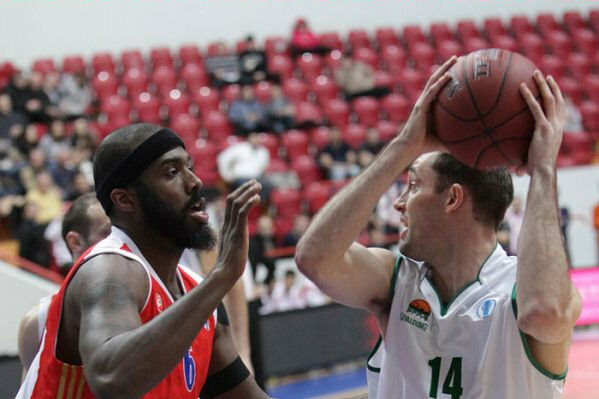 The win allows Unics to improve to a 2-1 record while Crvena Zvezda dropped to 1-2. Also, with a 0 of 12 from the arc, it was the first time ever in the Eurocup that Crvena Zvezda didn't score a single three in a game. That, together with 20 turnovers, was a recipe for defeat for the guests. Mire Chatman led the winners with his 20 points, Chuck Eidson added 16, Kostas Kaimakoglou 11 and Ian Vougioukas 10. 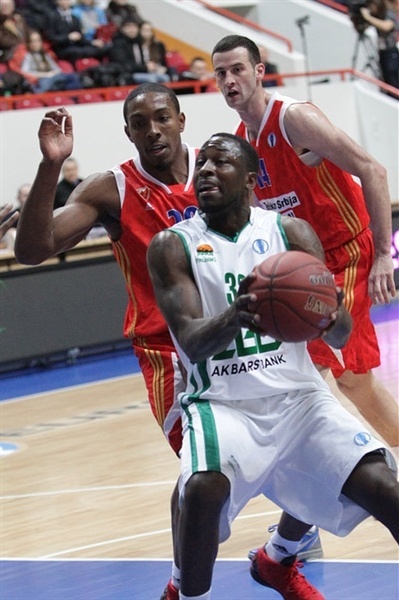 For the guests, Elton Brown had 13 points, DeMarcus Nelson added 12 and Igor Rakocevic had 10 . DeMarcus Nelson opened the score for the guests and soon Mire Chatman did the same for the hosts as he scored four points to make it 6-6 and keep Unics in the loop. After a Chatman turnover, Mike Scott fed Elton Brown for a free ride underneath plus a bonus free throw, and then Igor Rakocevic drove through the lane for a 6-11 Crvena Zvezda lead. Vladimir Veremeenko managed to wake Unics up with a nifty move in the paint, but Marko Simonovic did the same to keep Crvena Zvezda at a safe distance of 8-14. Unics' 7 turnovers at this point was becoming a heavy burden, and Rasko Katic poured some more salt i the wound to make it 10-16 after 10 minutes. In the first steps of the second quarter, Unics buried the first two threes of the game, back-to-back, and made it 16-18 in a breeze, but Branko Lazic's steal and layup put things back in place for the guests. Ian Vougioukas went to the line to hit both attempts for a 20-20 tie, and then again put Unics ahead, 22-20, after another trip to the stripe. To the rescue arrived Brown, who hit five points in a row to put Zvezda back in the driver's seat. The guests were basing their offensive game on inside shots and for now it was proving successful, while the hosts were surviving on free throws until Nikita Shabalkin nailed a three to put Unics ahead, 34-33. Both teams exchanged more free throws until the halftime buzzer rang with a 36-35 Unics edge. Unics started the second half with a better pace, but Crvena Zvezda didn't allow the hosts to pull away that easily. Between Vougioukas and Kaimakoglou however, they boosted Unics to a 51-44 lead that forced the guests to call for a timeout. It was Zvezda now who was starting to show problems with turnovers and also was stuck at 0 of 6 from the arc and Chatman's layup made it 60-52 to put an end to the third period. Zvezda was having a hard time attacking in positional offense but Unics was also not seeing the basket in the first minutes of the final period. Chatman finally blasted a three more than four minutes into the quarter for 63-54 and soon added another to give Unics a double-digit lead. Zvezda was totally obscured by Unics' defense and when Veremeenko hit a layup for 72-54, the scoring run in the quarter was 12-2. Lazic finally hit a free throw to break the spell for Zvezda, but Chatman made up for it by himself to keep Unics away for good. "After some bad games and bad results, we were supposed to please our fans with a good win. I’m glad we have managed to celebrate this 19-point win. It was badly necessary for our team. We needed to rise from the knock down to avoid a knockout. Of course, my players are in a sort of stress. But there are no excuses in sports, and we needed to win to move forward. We had been considering if it was possible for Lyday, who was injured to take part in this match. Lyday entered the game and helped his team a lot. "Of course, we made some mistakes in our game today as well. We collected just 10 points in the first quarter, because we didn’t manage to score on five fast breaks. I’m pleased we managed to return to the game soon. I can’t say that today we played a beautiful game, but I’m very pleased with the win and I’d like to congratulate my players. Once again, we needed this win badly, since we have so many important matches ahead. It will be very important for us to beat Crvena Zvezda on the road in Belgrade to book the playoff ticket, though we realize that won’t be easy at all. " "Congratulations to the home team. Before we came to Kazan, we knew that Unics had lost its previous Eurocup home game to ratiopharm ulm. That meant, that they wouldn’t have any excuses for the following game in Kazan, and I was sure they would play much better. 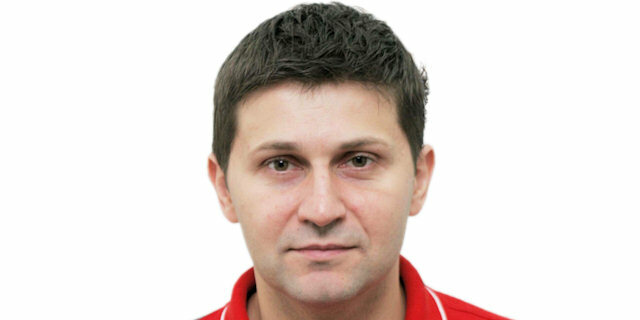 We also knew that Kazan has an excellent coach and top players in their roster, which had been actually meant to play in the Euroleague. 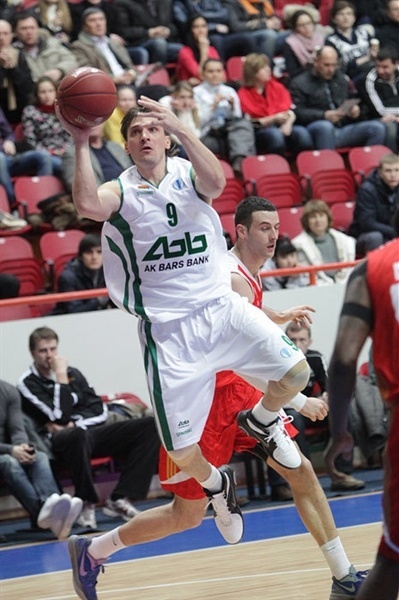 So, having lost the match in Kazan, Unics had top motivation to play any team with 100% of their skills. "At the start Unics faced some pressure, which had an impact on the result of the first quarter. On our part, we made several mistakes in defense in the second quarter. We lost our advantage quickly, which was very good for the home team. Unics recovered quickly and in the second half they played much, much better. We couldn’t find our way to score, especially from outside. Although we had been in the game until the very last seconds, their advantage was so big that we couldn’t come back. I called timeout with the idea to bring down the margin, to finish maybe minus 10 or 12 points, but again our offense was really bad."